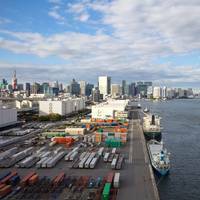 The Maritime Authorities of the Tokyo and the Paris Memoranda of Understanding (MoU) on Port State Control will launch a joint Concentrated Inspection Campaign (CIC) on safety of navigation. The aim of the CIC is to check compliance with the applicable requirements of the SOLAS Convention, the overall status of the vessel’s navigation safety, and the competency of crew involved in navigation operations. This inspection campaign will be held for three months, commencing from September 1, 2017 and ending November 30, 2017. 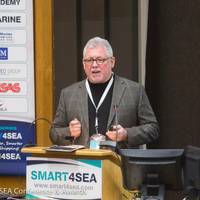 Transas CEO Frank Coles delivered a presentation at 2017 SMART4SEA Conference & Awards, where he voiced his views on “smart shipping”, from big data and cyber security to unmanned ships. 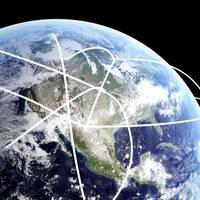 We live in a world where we hear the words, smart ships, connected ships, unmanned ships, automated ships, etc. We hear statements about a digital shipping world and a forecast of new business models in shipping. It’s a confusing world, a fast moving world. What is the reality and how do we sift through the hype? 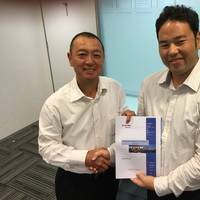 Thome Ship Management Pte Ltd and Radio Holland Singapore have concluded a Service Rate Agreement (SRA) covering the NavCom service and maintenance needs of its entire fleet of more than 200 vessels. Headquartered in Singapore, Thome Ship Management has worked together with Radio Holland for many years. The two companies have now taken a next step to a new format of cooperation with the SRA, which includes everything from annual radio surveys to servicing bridge equipment, to the delivery of spare parts and on-the-spot troubleshooting. 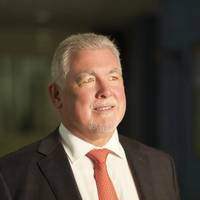 Frank Coles, Transas CEO, has delivered a keynote speech calling for the International Maritime Organization (IMO) to set standards of compliance for the communication connections between ship and shore or else create a significant cyber security risk. The speech on Connected Ships & Cybersecurity was delivered at the Shipping Insight Fleet Optimization Conference which took place in Stamford, CT. on October 18-19. Cybersecurity is without a doubt a highly-debated topic in the maritime industry. 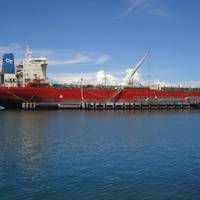 Alphatron Marine has signed a premium member contract with Chemgas Shipping covering eight gas carriers. The Gas Carriers are fitted mainly with bridge equipment which Alphatron Marine has many years of experience of installing and also supporting these and other high tech navigation and communication equipment onboard. The contract also embraces equipment and services that is subjected to mandatory annual certifications and inspections but also life cycle support and a preferred partner service is included. 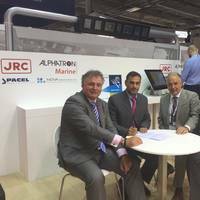 JRC and Alphatron Marine has announced that Greek based company Almi Tankers have signed an all-encompassing maintenance contract supporting all yearly inspections and surveys as well as any required services, for a total of 11 vessels. 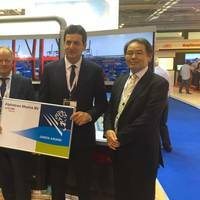 Alphatron Marine, together with local partner in Greece, Nova Electronics, will support the Almi Tankers fleet worldwide, including service, upkeep, and preventive maintenance services to secure the overall smooth running of bridge equipment. 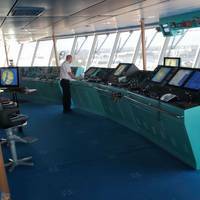 A three-year EU-funded project, CASCADe, has developed new methodologies in which information is shared and displayed on a ship’s bridge, helping to improve efficiency on board and contribute toward the prevention of accidents at sea. Drawing directly from the experience of seafarers, CASCADe has developed a new adaptive bridge design methodology that treats both human agents and electronic equipment as parts of a cooperative system. This allows for the sharing of information to be optimized. In addition, CASCADe has developed a set of adaptive bridge displays. 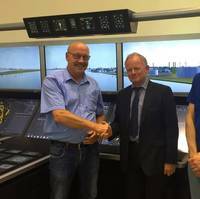 Alphatron Marine has signed a three-year global maintenance agreement with Van Oord to maintain and support all navigation and communication equipment on its entire fleet of more than 80 vessels. Van Oord, a world company specializing in dredging, offshore oil and gas and offshore wind, operates internationally and requires that each and every vessel could be put to work effectively at any time. Holland America Line’s cruise ship MS Noordam recently underwent a 10-day dry-dock period, during which it was fit with a customized bridge from Radio Holland. The work on Netherlands-flagged MS Noordam included refitting the navigation and bridge systems to improve working conditions in line with HAL’s Bridge Resource Management concept. Radio Holland, a supplier, installer and maintainer of maritime electronics, also provided additional equipment including an upgrade of the autopilot interface with the propulsion systems to deliver fuel savings. Radio Holland in Singapore has signed a Managed Service Agreement (MSA) with Thome Ship Management that will cover nine vessels for four years. 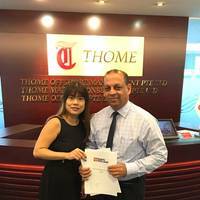 Thome Ship Management, headquartered in Singapore, has worked for many years with Radio Holland, which is part of Imtech Marine, but until now this has largely been on an ad hoc basis. Officially signed on June 1, the agreement covers a pool of nine chemical oil tankers of around 45,000-50,000 dwt on a 24/7 basis. The MSA covers the maintenance of marine electronic equipment including navigation, communication, automation and IT equipment. In a anticipation of the growing need for deck officers and masters experienced in operating in ice covered waters and as evidenced by the relatively rapid increase in vessel traffic in areas of the Arctic Ocean due to the receding ice coverage, the Alaska’s Institute of Technology (AVTEC) in Seward, Alaska has developed a comprehensive course of instruction in Ice Navigation. This two week course is directed toward masters and mates without or with minimal experience in ice covered waters. The course of instruction is a combination of classroom lectures, case studies and simulation exercises, operating various vessel models in a myriad of ice conditions. The AVTEC Ice Navigation course of instruction is U.S. In a timespan of one month, three types of VSTEP Dynamic Positioning Simulators have been officially certified and accredited by the Nautical Institute and Det Norske Veritas (DNV-GL) certification bodies. 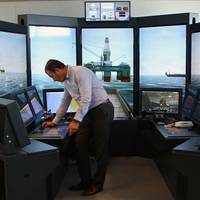 The accreditation means the new NAUTIS Dynamic Positioning simulators from VSTEP are fully certified and approved to be used for official DP training courses. 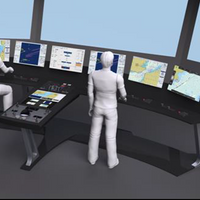 The accredited Dynamic Positioning Simulators were based on different DP control types and included both Class A and Class B type DP simulators. 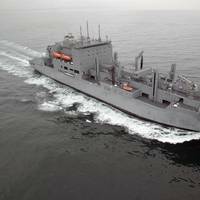 Detyens Shipyards, Inc. has been awarded a $15,812,647 firm-fixed-price contract from the U. S. Navy’s Military Sealift Command for a 75-calendar day shipyard availability for the regular overhaul and drydocking of USNS Lewis and Clark (T-AKE 1). Work will include bridge equipment annual service, main diesel generator overhaul, life raft annual certification, drydocking, propeller shaft inspection, underwater hull cleaning and painting, freeboard cleaning and painting, overhaul sea valves, blast and coat tanks and renew flight deck non-skid. The International Maritime Organization’s (IMO) Maritime Safety Committee (MSC), which met at the Organization's London headquarters for its 94th session, from November 17-21, 2014, approved draft SOLAS amendments to make mandatory the International Code of Safety for Ships using Gases or other Low- flashpoint Fuels (IGF Code); adopted other SOLAS amendments; continued its work on its action plan on passenger ship safety; and approved and adopted a number of items put forward by the subcommittees. The MSC also adopted the Polar Code and related amendments to the International Convention for the Safety of Life at Sea (SOLAS) to make it mandatory. L-3 Marine Systems International (L-3 MSI) announced today that it has been awarded a contract to provide a range of navigation, lighting and communication systems for the third ship in Royal Caribbean International’s Quantum class. 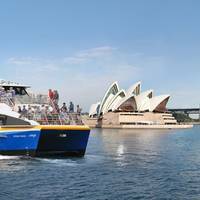 Built by Meyer Werft at its Papenburg shipyard in northern Germany, the 348-metre-long, 158,000-gross-ton ship is the sister vessel to Quantum of the Seassm, due to be delivered this year, and Anthem of the Seassm, to be launched in 2015, both of which have been similarly outfitted with L-3 equipment. “The three-ship project marks the next step in L-3’s growing support of the world’s premier cruise ship fleets with proven, cutting-edge shipboard system solutions,” said Ulrich Weinreuter, president of L-3 Marine Systems International. Transas Marine has expanded its extensive product portfolio with the launch of the T-Bridge, the most advanced integrated navigation system where professional bridge equipment meets aviation, automation and even tablet technology. The new Transas T-bridge brings together diverse systems into a single bridge environment, where data sources are combined to provide a full and clear picture to support efficient decision-making. Solid, timely and pertinent access to all crucial information is the key to safe and secure navigation.